Lesotho Sky is the traditional epilogue for the season, being the last UCI Class race we contest every year. This year, preparations for the race did not go well as we had a lot of juggling around with teams. We had long decided that Phetetso would stick with his partner from last year, Stuart Marais (South Africa) as they get on well together and Stuart brings a lot of experience to the team. We also knew that Tumelo would not be available due to writing final high schools exams. We had tried to find another South African partner for Malefetsane, but things did not go according to plan. We were also disappointed to realise that we would not have a women’s team in the race, as Bakang was training in Austria and Likeleli was not available due to personal reasons. This year’s Sky was always going to be tough, with the world class Radon Factory team of Matthias Flückiger and Ralph Näf (Switzerland) entered, as well as some other very good South African and European teams. However, the weather ended up being the biggest challenge of the event with heavy rain and thunderstorms causing the cancellation of one stage and tricky conditions for the rest of the race. As expected, Radon Factory’s class was clear and won the race, followed closely by Phetetso and Stuart. Much to our surprise, our young team of Malefetsane and Katleho (Success) managed to take the third step of the podium. To be completely fair, some of the other teams were unlucky – but our young guns were right there to take full advantage. 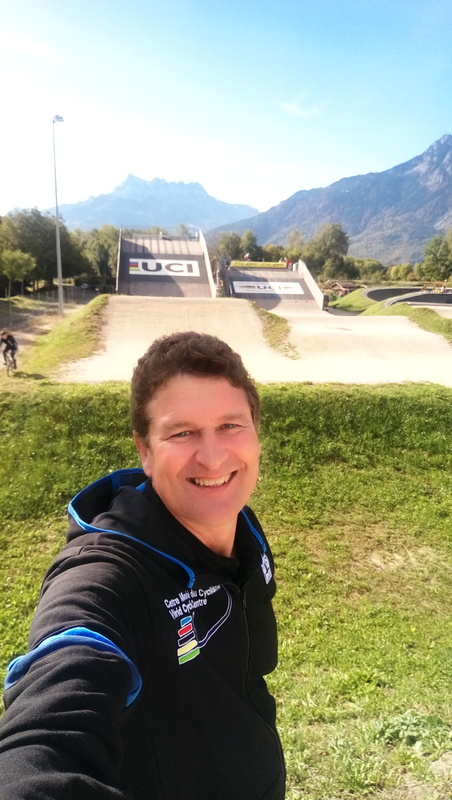 Our Team Manager, Mark, was very fortunate to be invited to study for the Level 3 Coaching Diploma at the World Cycling Centre in Aigle, Switzerland. The course was made possible through the support of Lesotho National Olympic Committee. The four-week course was based around off-road cycling disciplines, with practical experience of coaching young, world-class BMX and Cyclo-Cross riders. Candidates also had to submit a detailed project assignment and sit a final exam. We are pleased to announce that Mark successfully passed the course. It was not just an opportunity to learn about coaching, but a chance to connect with key people at UCI and World Cycling Centre. Last year, Phetetso accepted an invitation to race at the famous Wines2Whales Ride near Cape Town. He was paired with a rider he hardly knew (Bruce Hughes), but together they tore up the field and came away with an unexpected win. The Wines2Whales has three separate races, and although the Ride does not attract the very best riders – it is still a very competitive field. This year, Phetetso was invited back as reigning champion, but unfortunately Bruce was not available. Instead Bruce introduced Phetetso to Leo – a pretty good road rider and triathlete, but self-confessed novice at MTB. Once again, Phetetso reigned supreme and guided Leo to win all three stages and the General Classification for the second year in a row. One of the border towns between South Africa and Lesotho is the farming town of Ficksburg. This small town has a long history of mountain biking and once hosted a leg of the South African MTB Cup. 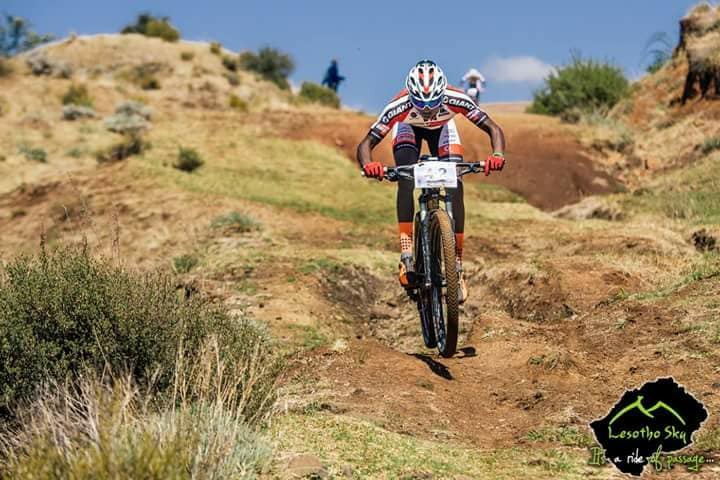 It has also produced a long-line of fantastic MTB riders, including the current African Champion and age-group champions for most of the Free State Province categories. That is why we relish the challenge at competing in Ficksburg and no race is more hotly contested than the annual Ficksburg Cherry Festival. 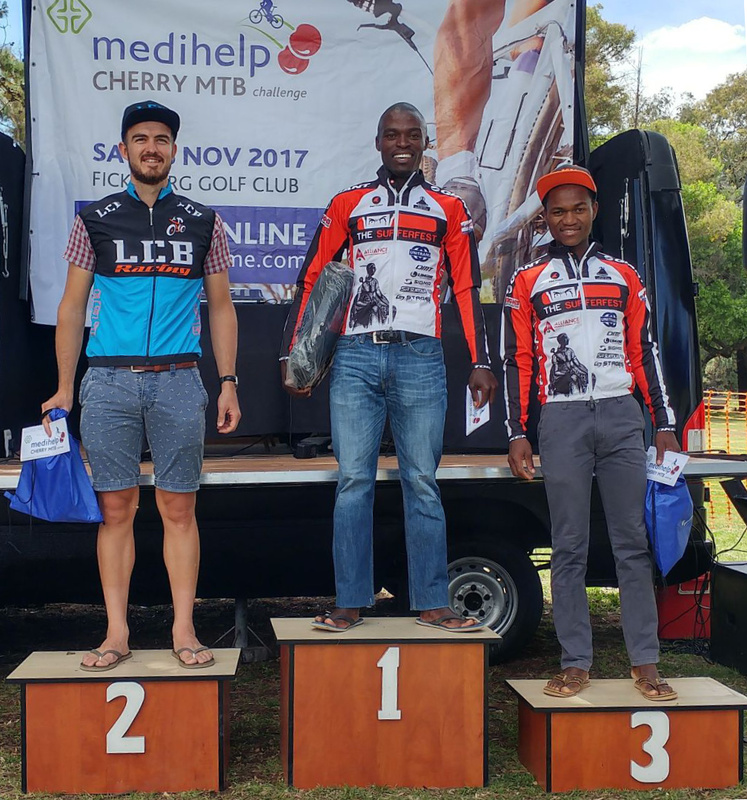 Last year, Teboho won first place by out-sprinting our Olympian Phetetso and this year he achieved the same result by overcoming the African Champion, home-favourite Arno du Toit, in another close finish. Paseka was close behind to take third place on the podium. The great team effort was rounded off by a great win by 17-year-old Eric (Ramohanoe) in the shorter 40km race, beating the Free State Junior Champion in the process. We are very proud to announce that two of our riders, Matshidiso (Bakang) Ebudilwe (Botswana) and Tumelo Makae (Lesotho) have been awarded Tokyo 2020 Olympic Scholarships from the International Olympic Committee. It is expected that the two of them will be based at the World Cycling Centre in Switzerland from March 2018 onwards, forming the first Mountain Bike training group.